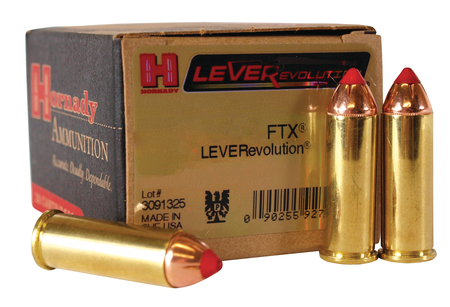 Patented FTX (Flex Tip eXpanding) bullets that are SAFE in your tubular magazine. Higher ballistic coefficient delivers dramatically flatter trajectories for fantastic downrange energy increases and amazing bullet expansion at all ranges. Up to forty percent more energy than traditional flat point loads.